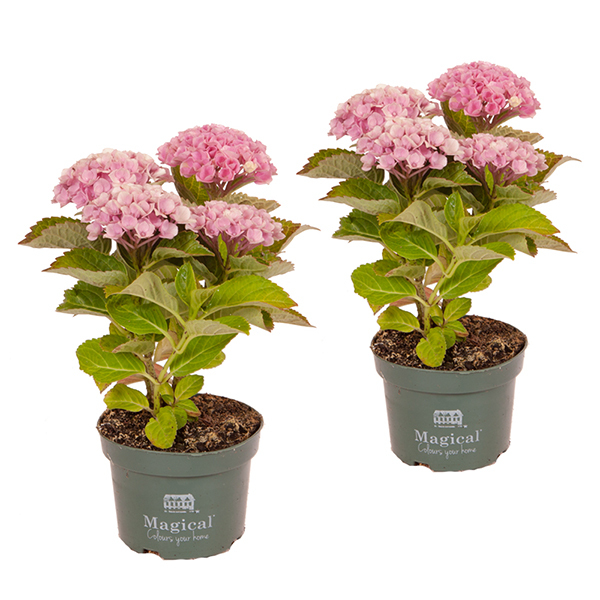 The Magical Colour Changing Hydrangea - an essential collection of two beautiful Mophead Hydrangeas which will explode with a profusion of magically-coloured flower heads all summer. 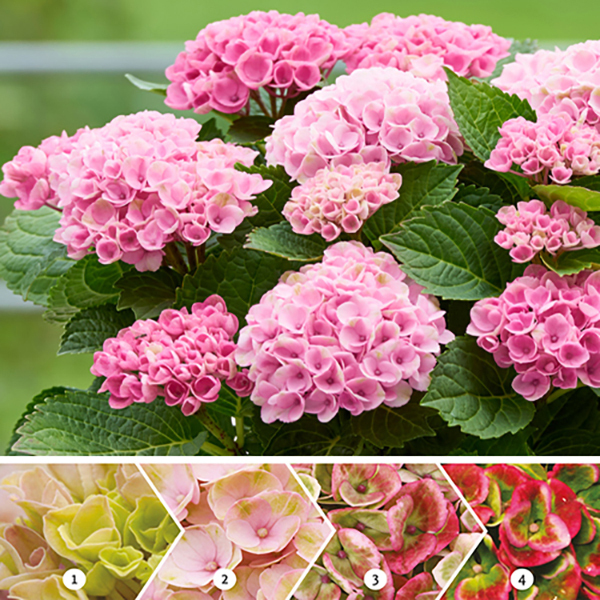 The 'Magical Revolution’ series are abundantly flowering, compact, multi-stemmed Hydrangeas with flowers that undergo a simply stunning range of colour changes. Heads emerge bright lime-green, followed by white flowers which colour up before maturing to a rich green tinged with purple, producing a kaleidoscope of colour in your garden. Very easy to grow, these fully-hardy Hydrangeas thrive in moist soil in semi shade (or sun with shade during the hottest part of the day). They provide the perfect foil for perennials (particularly alliums) and annual bedding, and are equally at home in a pot on your patio or balcony. 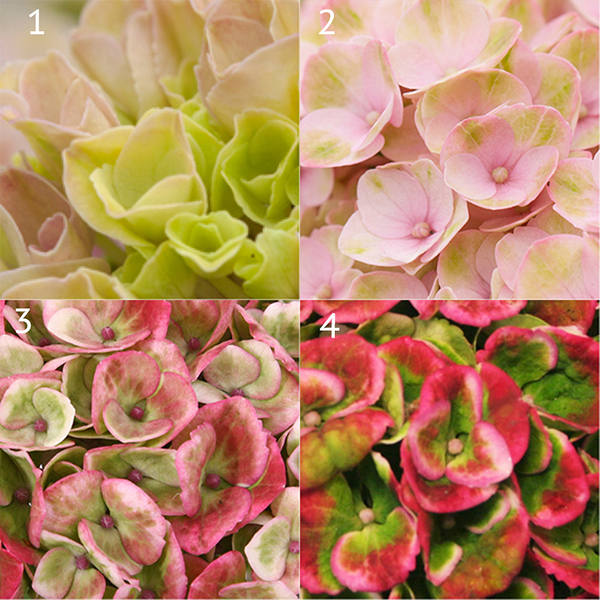 Even happy as a short-term houseplant, the multi-coloured heads are bang on trend as cut flowers for a vase or bouquet.